Product prices and availability are accurate as of 2019-04-20 13:26:42 UTC and are subject to change. Any price and availability information displayed on http://www.amazon.com/ at the time of purchase will apply to the purchase of this product. One of our favourites! 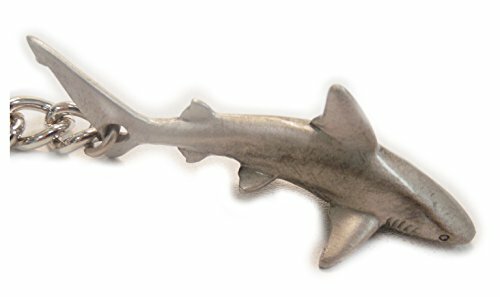 Order Big Blue Reef Shark Keychain Pewter securely at The We Love Sharks Store today. Goods, made by Big Blue Aquatic Gifts. The package weight is approx 3 ounces.